Setting sail with tailored services. Supplying cruise ships has its own, unique set of transport challenges. These giant ocean liners require a very diverse range of products to be delivered just in time, in a variety of temperature levels, to numerous different loading ports. 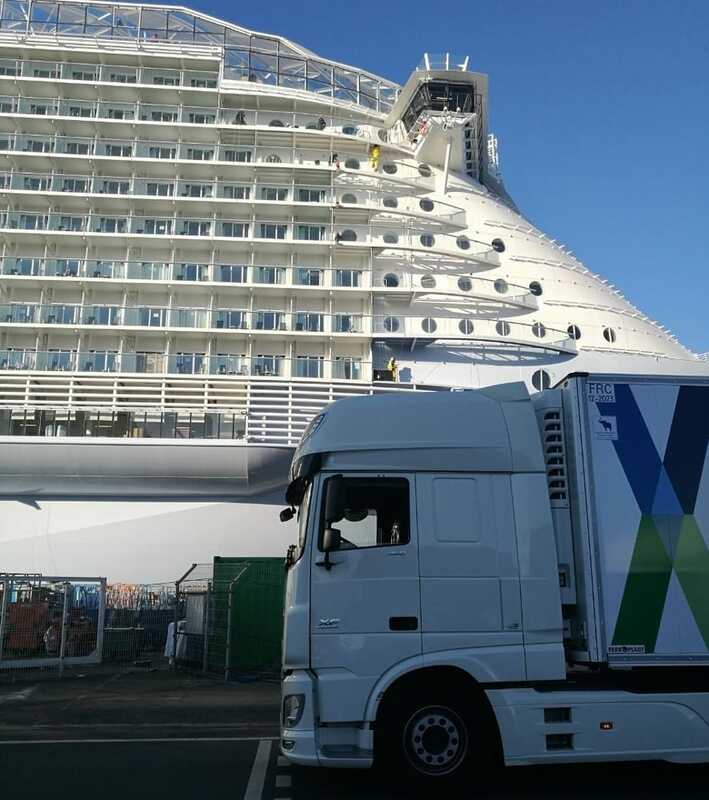 From delivery by truck and transport by sea, supplying cruise liners requires detailed preparation and flexible scheduling. STI has a wealth of experience in supplying cruise liners and offers you a range of transport solutions to ensure that your passengers can have an experience of a lifetime. We know how important it is to be flexible in case a ship is delayed or needs to dock at another port on account of weather, for example. Regardless of the circumstances, supplies need make it to the ship to ensure that everyone on board has what they need. We also use head drivers, who are responsible for the coordination in harbours. They ensure that all necessary customs papers are in order, act as key contacts on site and organize the entire loading and unloading process, for example. From services tailored to your exact needs and specifications to pre-defined packages, we are your partner for providing the best possible quality and service on board.